When I was in high school in the late 1980s (this hurts to type), the Body Shop was an extremely cool brand. It was eco-friendly (a huge novelty back then). It was British ( = exotic in my small town Midwestern eyes). It was a company run by a woman (yay). And it sold a lot of things that smelled really, really good. Since we didn’t have a store in our town (and this is waaaay before online shopping), having Body Shop products was a certain status symbol among my high school peers. It meant you’d gone somewhere interesting enough to have a Body Shop store and you had enough disposable cash to spend it there. 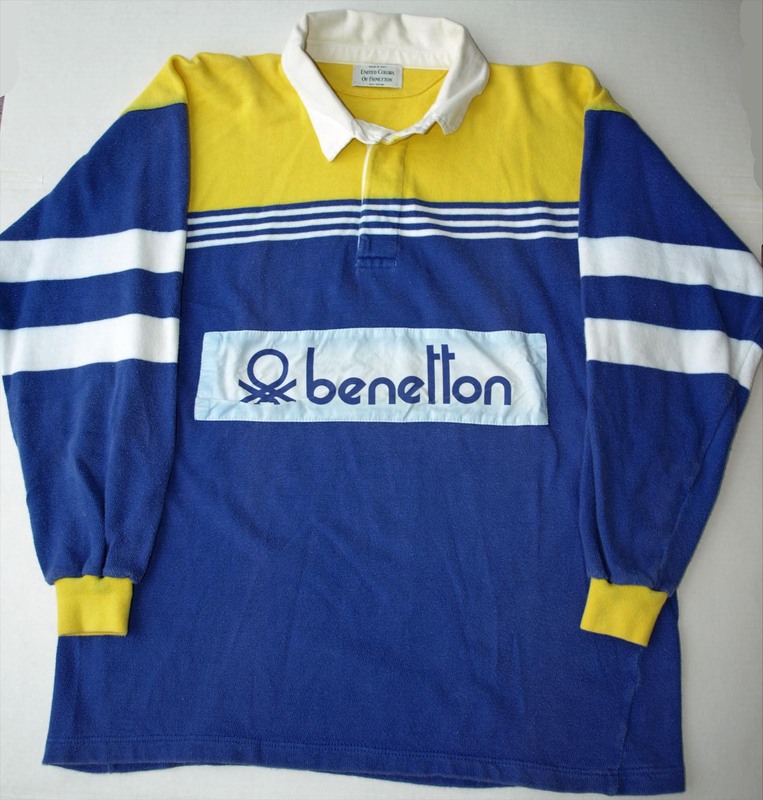 It was the shower gel and body lotion equivalent of wearing a Benetton rugby. By the time I hit college, there were a lot of competing brands in the beauty market and the Body Shop lost some appeal. I wanted L’Occitane. I wanted Bobbi Brown. I wanted whatever In Style magazine told me to want. It wasn’t that I didn’t like the Body Shop anymore, it was that other things caught my magpie-like attention. When we moved from Texas back to the Midwest eight years ago, I started killing a lot of time in the Minneapolis airport while traveling (this is overall a terrific airport, IMHO, although now you’ll find me more often in the Delta lounge than the retail outlets). Right past security in Terminal One, there’s a Body Shop store and they always seem to have a sign in the window that pulls me in. I’ve been a big fan of their body butters for years, and I have to also give special mention to their hand sanitizers since they manage to smell un-like hand sanitizer, i.e. good. Recently I got sucked in with the promise of new holiday merchandise and discovered the Body Shop’s new face masks. 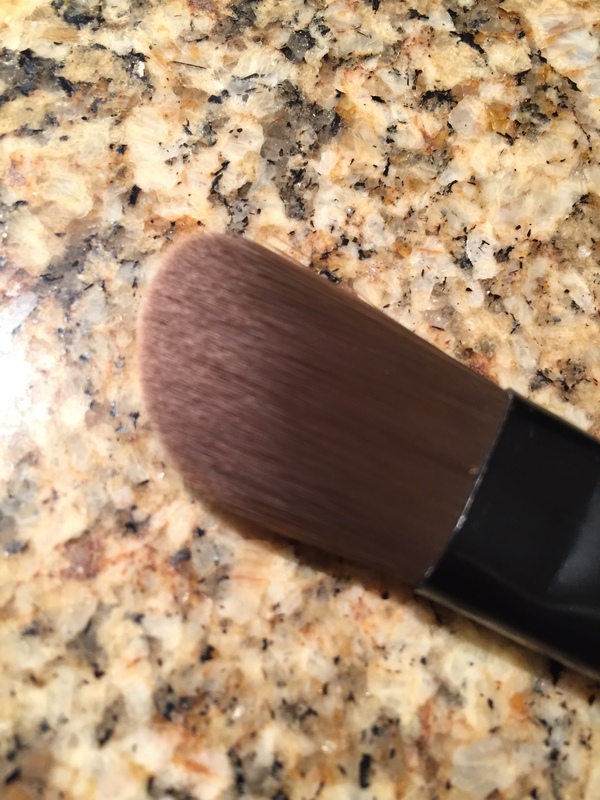 I love any moment where skin care products are applied with a brush during facials, so this got my attention. 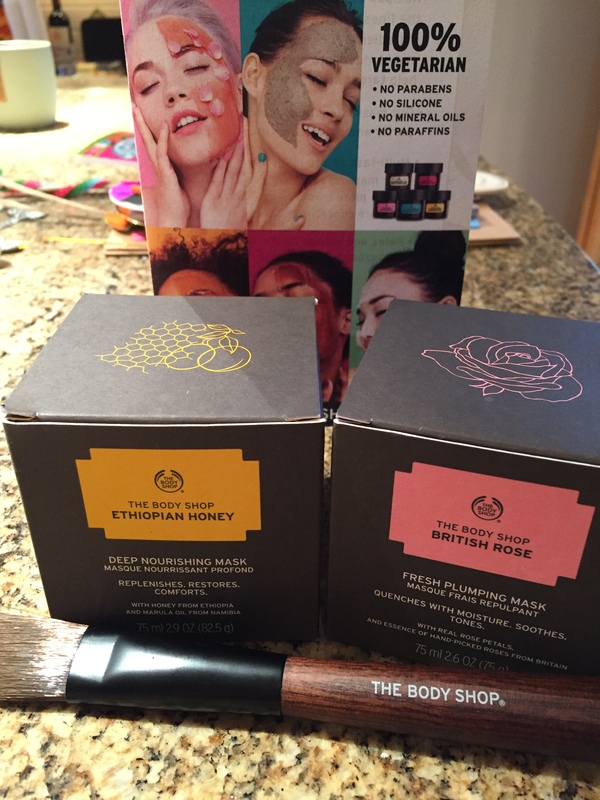 I purchased the rose and honey masks and a brush. 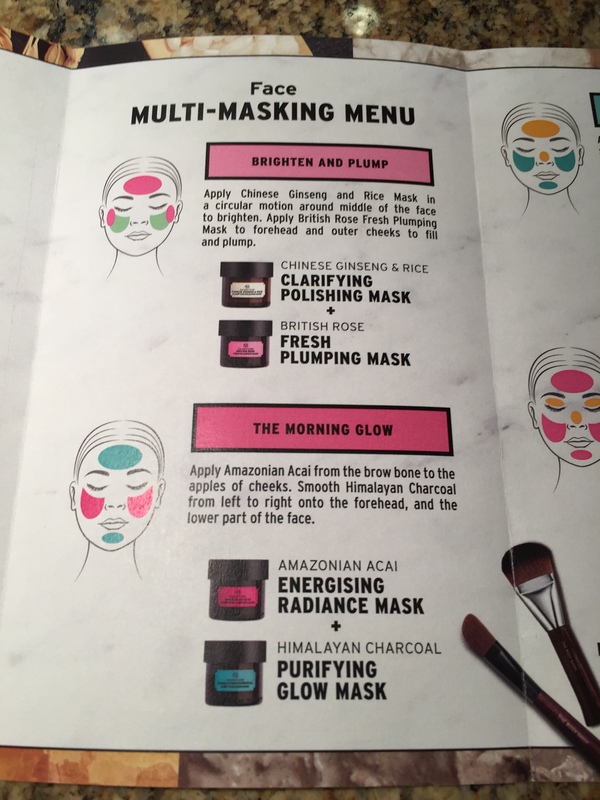 They included a helpful brochure on ways to mix masks for targeted treatments. The masks retail for $28 each but some are being combined as sets for holiday gifts. You can get the rose and charcoal masks (but alas, no brush, you have to buy that separately) for $39. The combo is here. This set plus a brush would make a great holiday gift for a spa lover. P.S. The Body Shop also has a lot of cool holiday gift sets and advent calendars featuring items with both their signature scents (like my favorite, strawberry) or their limited edition holiday ones (spiced apple, vanilla chai and frosted berries).